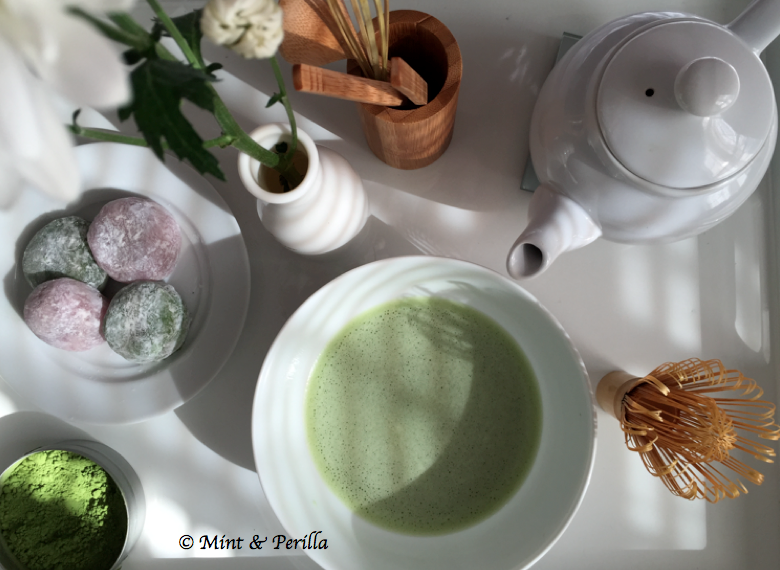 matcha - If you want this to be a good experience, get some good matcha. 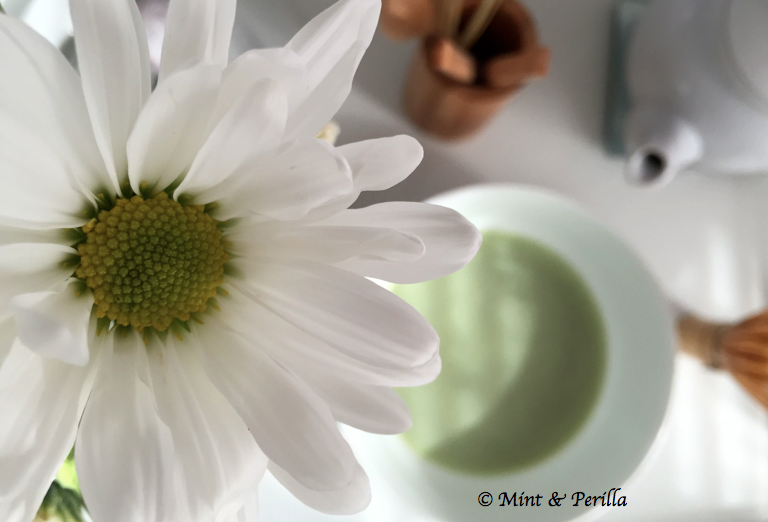 See this post for how to tell good from bad matcha. 1/4 cup to 1/2 cup of warm water (about 175 degrees F) - Please use good water. Tea is >99% water so why waste good matcha on anything else? Chasen holder. They are little devices that hold your chasen when it is not in use so it will retain its optimal shape. 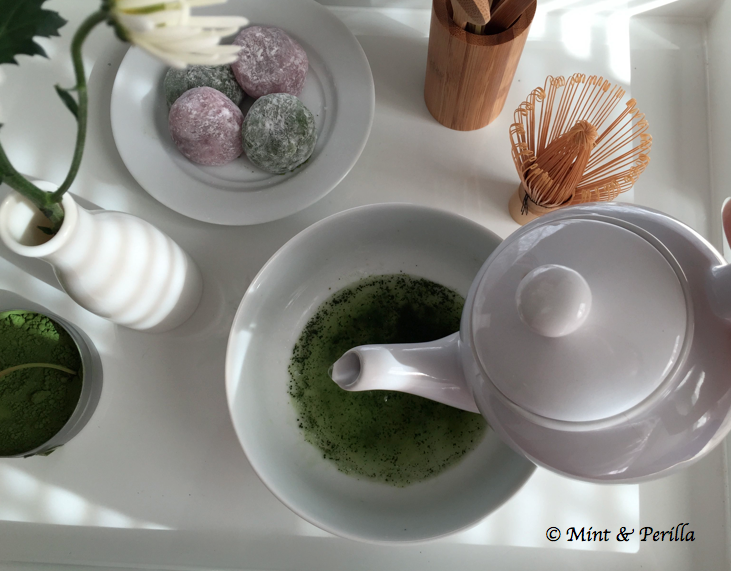 Wagashi - those tiny confections served with tea (like yummy mochi). I consider these a must for any of my tea trays. Do you have everything ready yet? I can wait. 1. Warm your bowl with some of the hot water you prepared (it is better to boil the water and wait for it to cool to 175). Pour the water in, swirl a little bit and toss it out. 3. 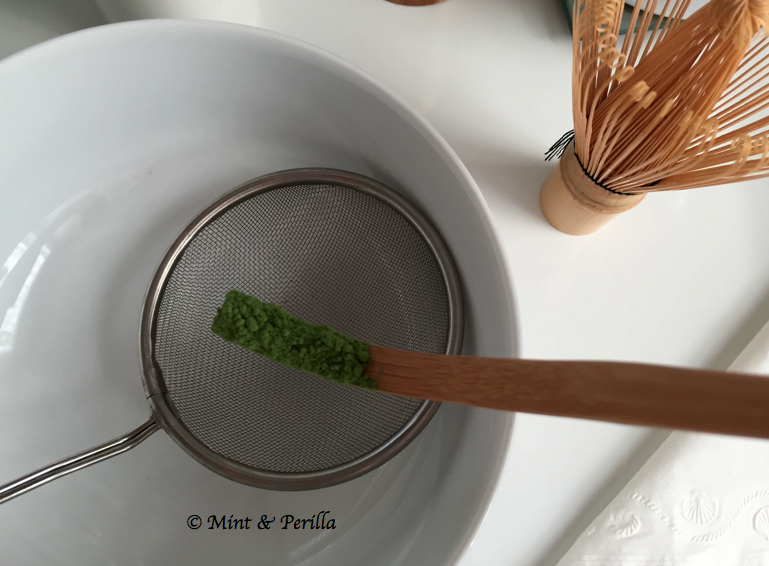 Holding your sieve (if you have one) over your bowl, add 2-4 scoops of matcha. NOTE: To make a thin matcha (usucha), 2 scoops per 1/2 cup of water (about 120 mL) is enough. 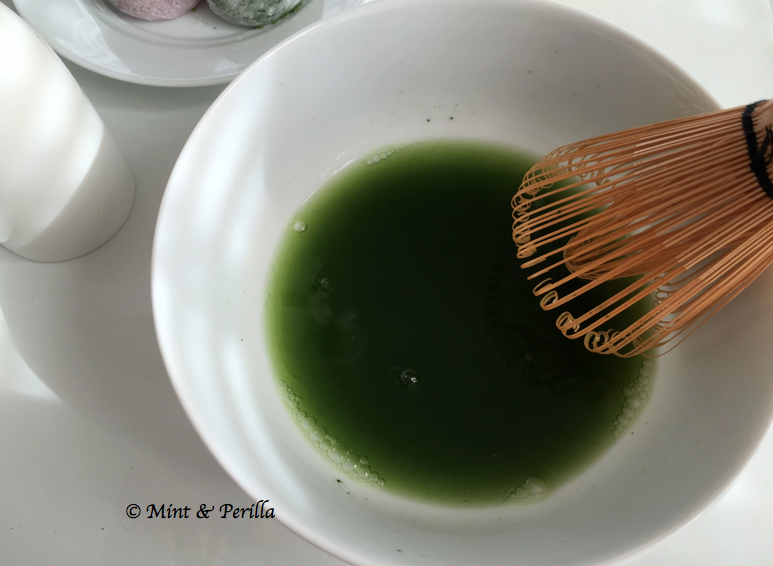 To make a thick matcha (koicha), add 4 scoops per 1/2 cup of water. 4. 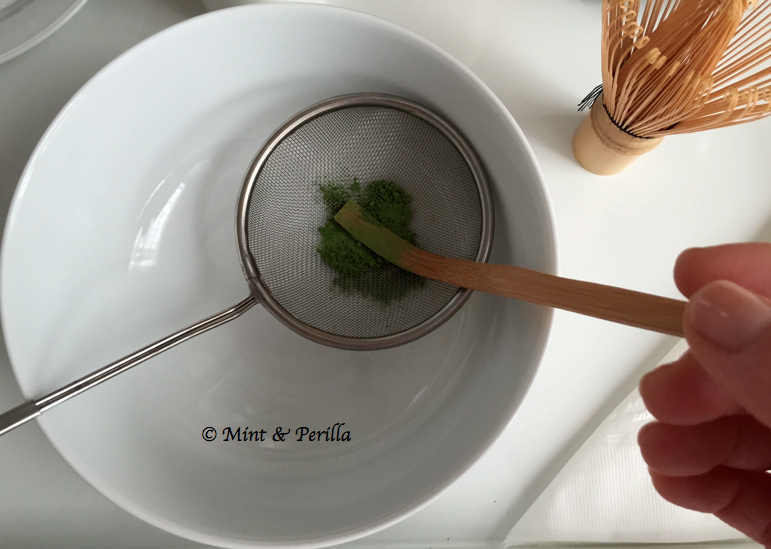 Using your spoon or bamboo scoop, push the matcha through the sieve. 5. Carefully pour in the warm water. 6. Now for the magic. 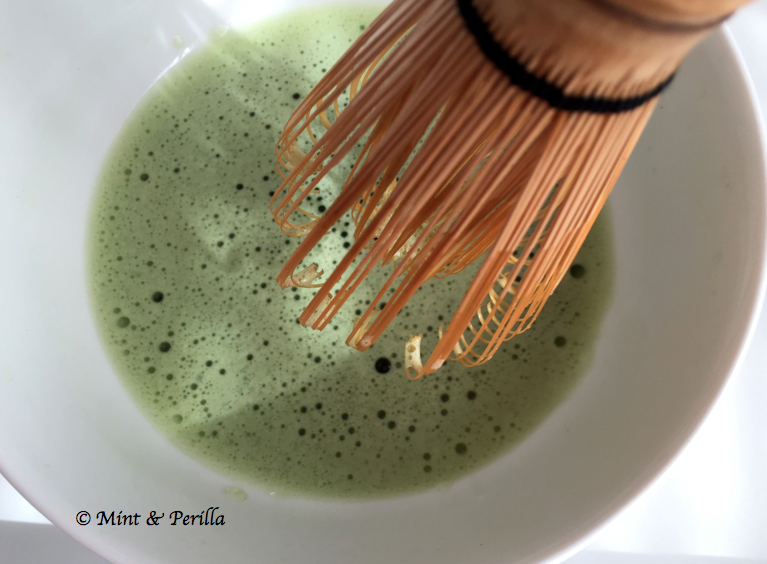 Using your frother or chasen, whisk the matcha vigorously. 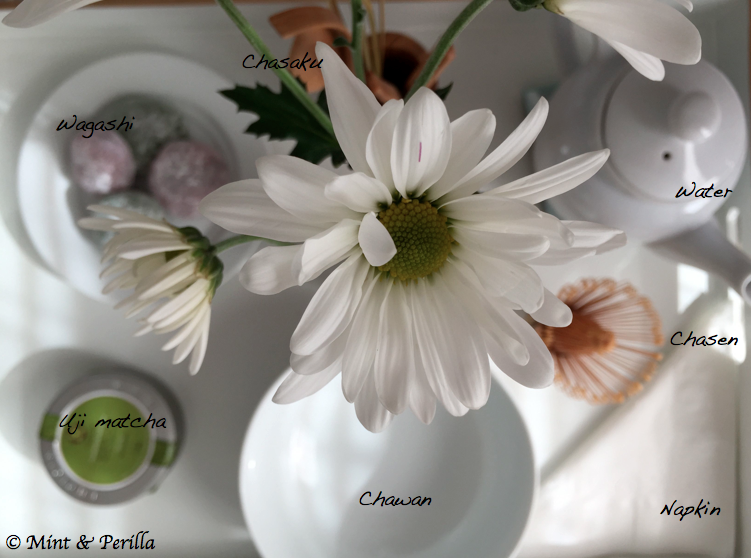 Seriously, if you are using a chasen, don't be fooled by those online videos, it takes a lot of work (and practice) to get your tea frothy. 6.5. Directions for whisking with a chasen: Holding the chasen upright, make quick whisking motions in a "W" or "M" pattern. The chasen should not touch the bottom of the bowl. 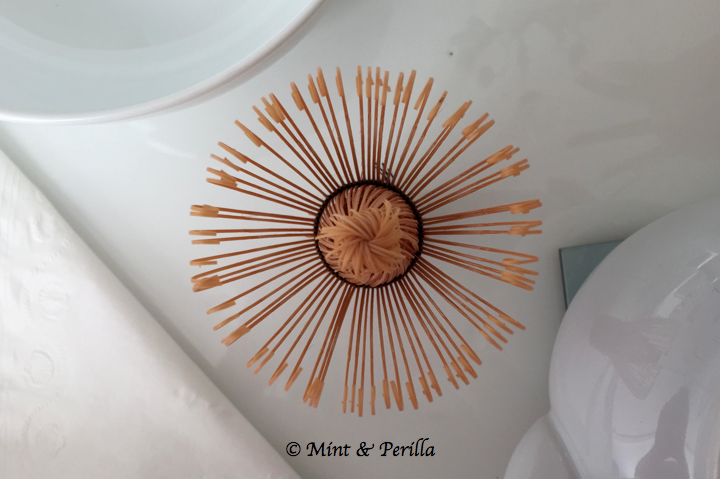 You do not want to make round, swirly motions. I have found that quick flicks of my wrist in a zigzag pattern is the best and most energy efficient way to do this. It takes at least a minute of vigorous whisking to get a nice foam. 7. When you have the desired amount of foam, carefully lift your whisk/chasen out. Skim the top to get rid of large bubbles. 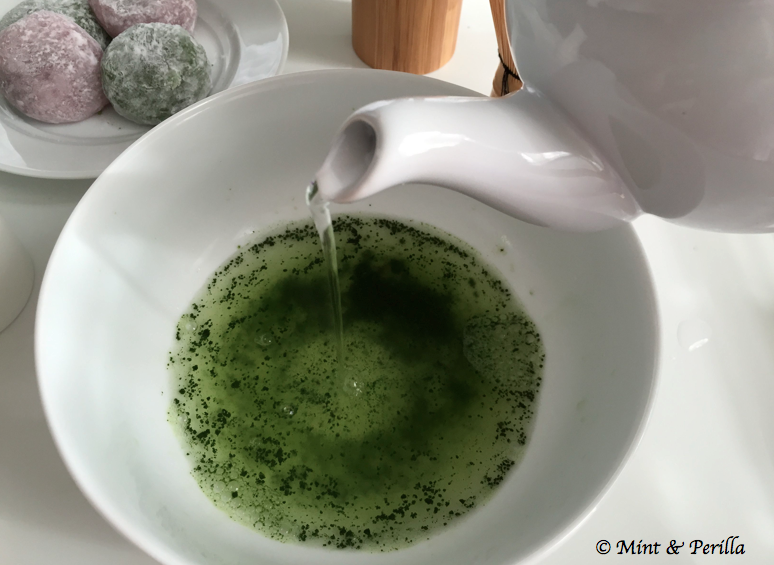 If you want to know more about making matcha in a tea ceremony setting, read Kohei's blog on his journey as a Sado student. I love his section on wagashi.